A Collection of Poetry writing written by Kartika Atmadja and famous Poets. 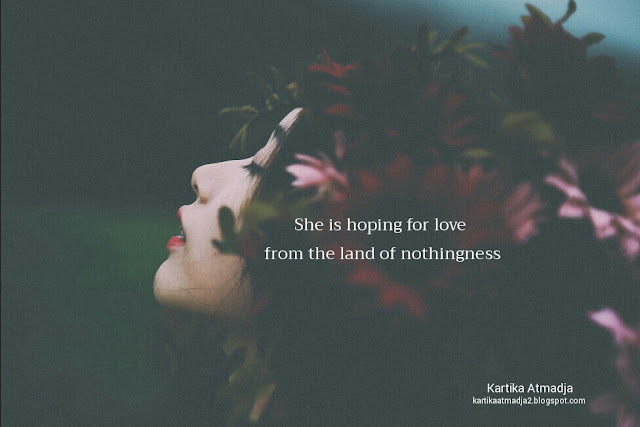 Poem About Love The Land Of Nothingness By Kartika Atmadja She is hoping for love from the land of nothingness. I am just a poet who loves to write dark and exaggerating poems that expresses the feelings inspired by what I read, watch and hear. I occasionally write about my feelings too. Nothing fancy, just for fun.